China Focus | What Benefits Can B&R Bring to Eurasia? What Benefits Can B&R Bring to Eurasia? The Silk Road Economic Belt and the 21st Century Maritime Silk Road (also known as “The Belt and Road Initiative”, henceforth referred to as B&R) is a grand international investment project with the dual aims of connecting the Eurasian Continent through trade-facilitating infrastructure, and building a community of common interests throughout the participating countries. The Silk Road Economic Belt and the 21st Century Maritime Silk Road (also known as “The Belt and Road Initiative”, henceforth referred to as B&R) is a grand international investment project with the dual aims of connecting the Eurasian Continent through trade-facilitating infrastructure, and building a community of common interests throughout the participating countries. The scale of the project is vast – covering more than 71 countries (which represent over 65% of the world’s population and 40% of the global GDP in 2017) and with USD $900 billion in planned investments, it is probably the largest investment drive undertaken by any country in history. Yet B&R, announced less than five years ago in late 2013, is still little understood by many international observers. Whilst many governments worldwide appreciate the economic benefits of B&R and its investments, to many members of the general public the details of the initiative remain obscure and the benefits ambiguous. To help provide clarity on the role that B&R will play in the 21st Century’s international economy, there are several aspects of the initiative that must be considered. Firstly, we must view the B&R with a historical perspective, and correctly conceive it as the natural progression of China’s Reform and Opening-up initiated by Deng Xiaoping in 1978. It is equally as important to examine the legacy of the precursor to the modern Belt and Road Initiative, the Ancient Silk Road, to realize how the B&R will revitalize many long dormant trading networks. Furthermore, we must acknowledge the benefits that have already materialized because of the completed segments of the B&R, and recognize that the B&R can also provide great social benefits to many regions of the world by helping to address the severe need for further infrastructure investments. Whilst there is a tendency to view B&R as a recently conceived project that is somewhat arbitrary in its planning and represents a significant adjustment in how China interacts with the outside world, in reality the B&R it is a meticulously planned initiative that is consistent with China’s conduct since it’s Reform and Opening-up which began in 1978. 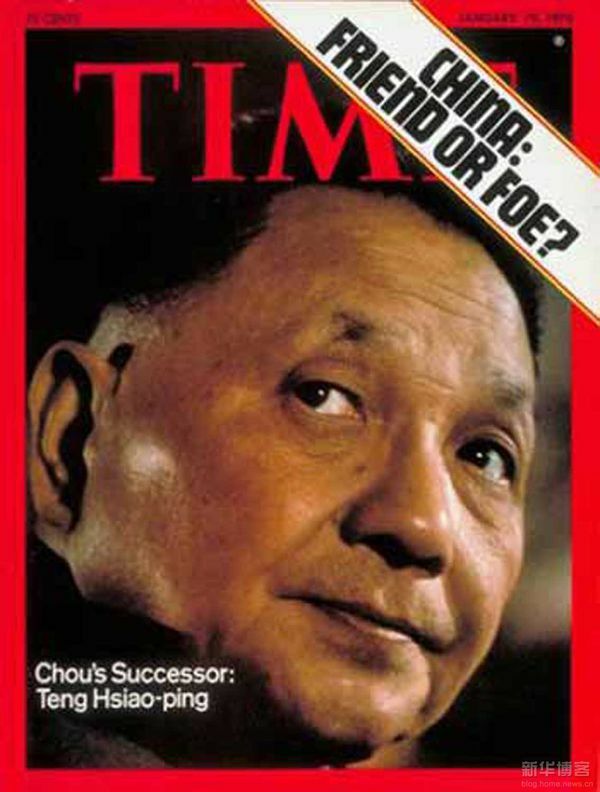 This was the year that Deng Xiaoping introduced economic reforms that would permit private businesses, encourage in many cases the privatization of state-owned industries, and open-up the country to foreign investment, among many other radical market-opening reforms. These reforms triggered the almost immediate uptick in China’s economy, creating decades of unprecedented economic growth, with an annual economic growth rate of around 9.5% between 1978 and 2013. China’s economy today is vastly more advanced and prosperous than that of 40 years ago, with over 500 million lifted out of poverty in the process, and much of that growth was driven by exports to and trade with foreign countries. Moreover, alongside economic development, trade with foreign nations has secured peace and stability for China. Demonstrably, these economic reforms have been very beneficial to China, and so the principles underpinning China’s Reform and Opening-up will be continued by B&R. The B&R will include the construction of infrastructure, ranging from roads and railways to ports and pipelines, all of which will upgrade existing trading networks. The aim of the project is to further facilitate trade – the same guiding principle of Deng’s Reform and Opening-up as announced 40 years ago. Yet trade is always a two-way street, and as China found more markets for it’s exports since the Reform and Opening-up, so did foreign companies exporting into China. Similarly, B&R will expand the opportunities for both China and other nations worldwide to increase their international trade, and therefore enable them to share in the fruits of the B&R. Whilst it is instructive to see the B&R as a progression of Deng’s Reform and Opening-up, to thoroughly comprehend the implications of the B&R and to fully appreciate its scale and scope, we must consider the impact of its predecessor, the ancient Silk Road. Emerging over 2000 years ago, and the Silk Road was a network trade routes, both terrestrial and maritime, that connected the east and west through trade, at the same time acting to increase inter-cultural understanding and serving as a facilitator of peace. Its importance cannot be overstated – it played a central role in the development of the civilizations throughout the Eurasian Continent. The name derives from one the most prized goods that was transported along the trade routes, ancient Chinese Silk. Despite the name, in reality all manner of objects, from fine art to new technological developments, and all varieties of intellectual concepts, from religions to philosophies, were traded and transferred along the ancient Silk Road. The trade routes moniker can also be deceiving in another regard – although the name originates from the highly valued Chinese silk, there was no one society that acted as the sole owner of the Silk road (although the Chinese authorities spent considerable resources in maintaining its functioning, and on several occasions reopened the routes after their collapse, such as during the early Tang Dynasty (618-907)). 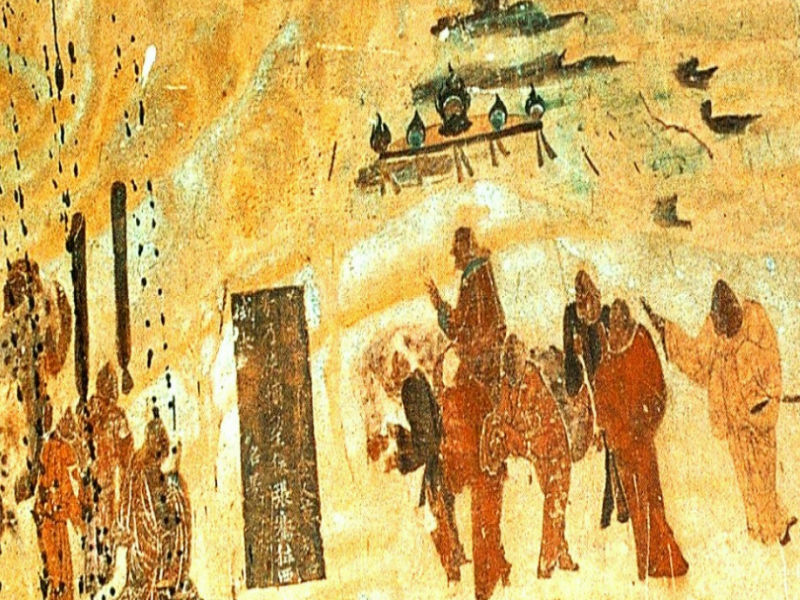 Rather the Silk Road was a collaboration of numerous ancient civilizations and societies who all benefitted from the commercial opportunities it offered. The emergence of the Silk Road occurred in the early years of the Han Dynasty (206 B.C. – 220 A.D.). During the initial years of the Han Dynasty the lands surrounding its territory were mysterious and unknown. It was not until the reign of the 7th Emperor of the Han Dynasty, Emperor Wu (141-87 B.C. ), that greater emphasis was placed on expanding trade and contact with cultures to the west, and through the exploratory missions of the Imperial Envoy Zhang Qian (张骞), the early segments of the Silk road were opened up in Central Asia during the closing years of the Han Government’s first Century. A series of Chinese missions then followed, which initiated commercial relations with societies extending as far as Western Asia. The Silk Road even brought about the interchange of goods between Han China and the Roman Empire, with records of Roman glassware being treasured in Han China and Chinese silk being highly sought after by high-class Roman’s. The Silk Road maintained strong trade links between its participants for approximately 1500 years, yet the route ultimately suffered fragmentation after the disintegration of the Mongol Empire (which had absorbed many of the civilizations along the Silk Road in the course of its conquests) during the mid-14th Century. Coupled with the gradual disappearance of the nomadic peoples who had acted as the couriers of goods, the Ancient Silk Road gradually collapsed as the civilizations along the route becoming more isolated and inward looking. After the Ancient Silk Roads demise, inter-Eurasian trade in many regards remained lethargic, and the Silk Road was consigned to the history books. The lack of such pan-Eurasian trade routes restricted the access of certain regions to the international economy, hindering their development. This problem was especially acute in inland regions which lacked the port access that facilitated trade, a phenomenon found for example in the Central Asian States. Thus, it was significant that the first introduction of the 21st Century reincarnation of the Silk Road, delivered by a speech by Xi Jinping in September 2013, was at Nazarbayev University in Kazakhstan. The following month Xi then highlighted the maritime aspect of B&R to ASEAN (an Association of 10 Southeast Asian Nations) in a speech to the Indonesian parliament, and in February 2014 Russia’s Vladimir Putin reached agreement with Xi Jinping on the construction of B&R. 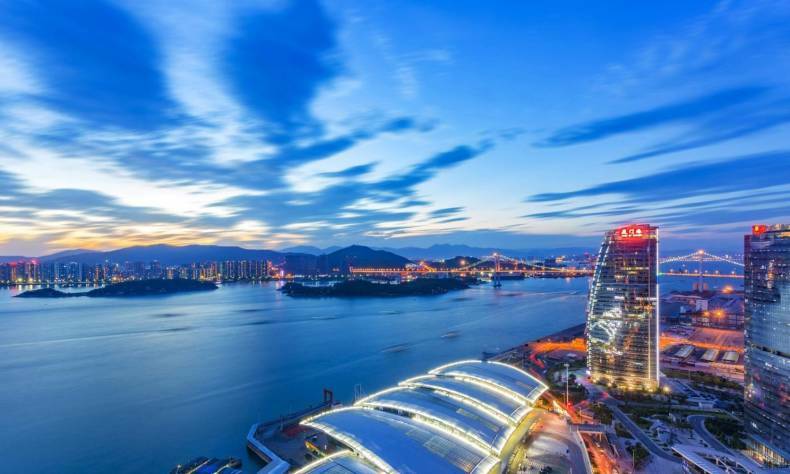 The wide support the project received early on reflects the fact that the revitalization of these trade routes resonates well with a variety of nations, and also symbolizes China’s desire to incorporate other countries into the project to ensure wider acceptance and collaboration. B&R funded extensive train routes between Europe and China have several evident advantages over the previous sea passages, notably by significantly reducing the cargo transportation time from approximately 35 days by sea to under 18 by rail, and by providing market access for goods from the landlocked countries along the way. 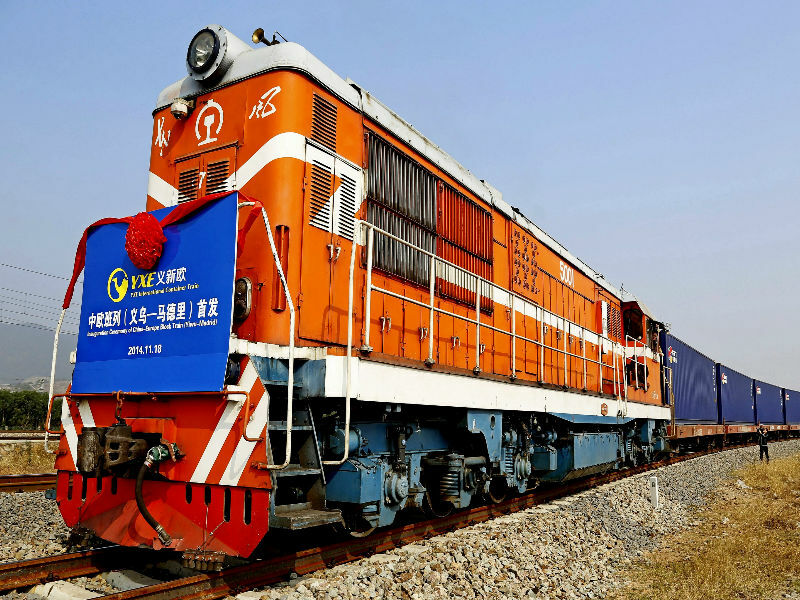 Several of these routes are already in operation, traversing overland a variety of paths such as the Yiwu (China) to Madrid (Spain) Freight Train, and the Chongqing (China) to Duisburg (Germany) Freight Train. 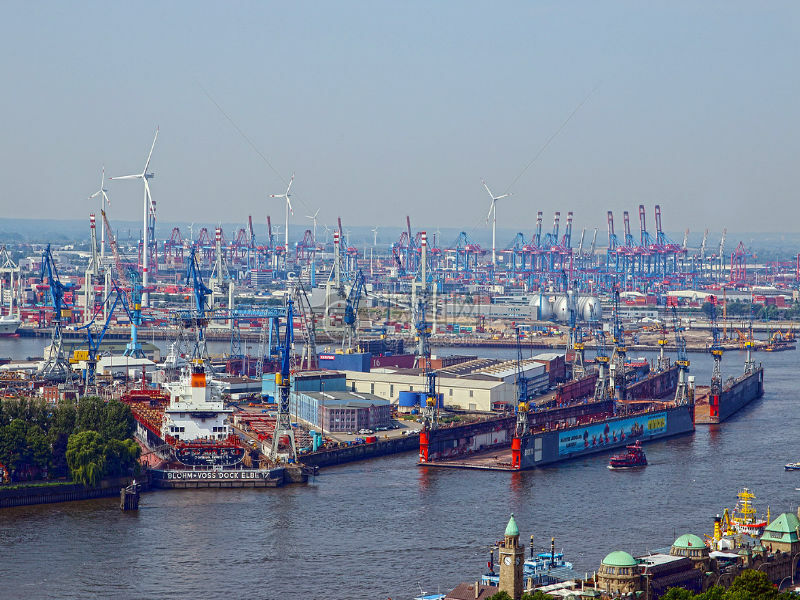 The Sea route of the B&R will also give heightened prominence and fortunes to the “South Gate of Europe”, the appellation of Greece’s Piraeus Port which will receive frequent shipments from the coastal cities of China. These new trade routes will allow a flourishing of trade between China and Europe, and as with the Ancient Silk Road, goods from the respective regions will have increased access to each other’s markets, with the aim of increasing both prosperity and cooperation. There are also a plethora of examples of B&R financed ‘Economic Corridors’ which connect countries in South and South East Asia with Chinese trading networks. One prominent example is the China-Pakistan Economic Corridor, which will span 2,000 miles and connect China’s most western city of Kashgar with Pakistan’s port city of Gwadar. This will help develop both the Balochistan region of Pakistan (where Gwadar is located) and also the inland Chinese province of Xinjiang (where Kashgar is located). By facilitating the development of Xinjiang (along with other underdeveloped regions of China) B&R will help to alleviate China’s stark regional disparity between the more economically developed coastal eastern and southern regions and the relatively underdeveloped inland western and northern regions. Additionally, the China-Pakistan Economic Corridor will help secure China’s access to the resources it needs, as it will diversify the sources through which said resources can reach China. The China-Pakistan Economic Corridor will also greatly benefit Pakistan, encouraging development in Balochistan through rising economic prosperity. Moreover, by improving the economy in Balochistan B&R can help to mitigate the security risks there, by facilitating social and economic inclusion for its inhabitance. Hence it is no surprise to see the Pakistan government express their deep gratitude for B&R. It has been estimated that from 2016 to 2030 developing nations in the Asia-Pacific will require infrastructure investments of USD $26 trillion, to ensure the region can maintain its economic growth, eradicate poverty and mount a response to the effects of climate change. 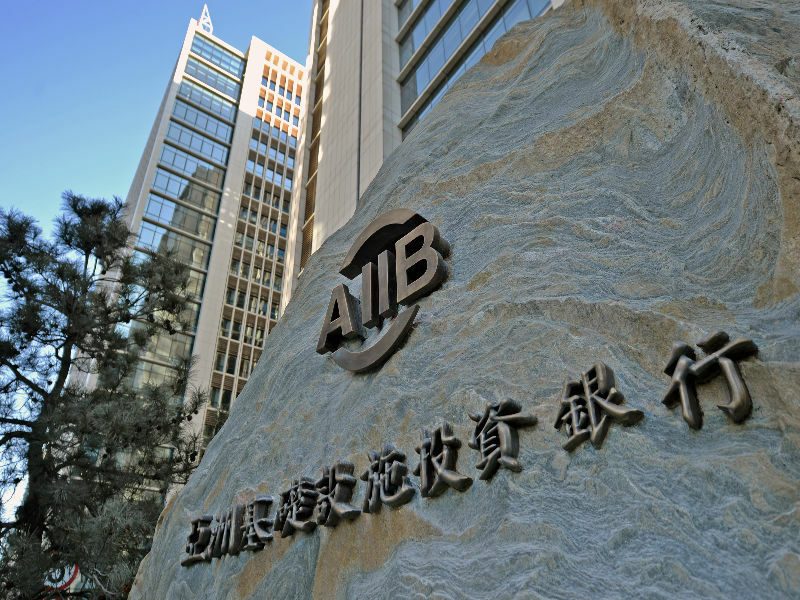 To this end, at the same time as the emergence of B&R, another grand project was also being introduced by the government of China, the Asian Infrastructure Investment Bank (AIIB). This multilateral development bank will help alleviate the issues highlighted above (the potential slow-down of economic growth, the persistence of poverty, and the dangers of climate change) by supporting the construction of infrastructure across the Asia-Pacific region. To date the AIIB has attracted much interest, and the current total of 84 approved member states represent nations not only from within Asia but also from Europe, Africa, and the Americas. The stated goals of B&R align closely with the AIIB – increasing international trade as a pathway to prosperity and peace. And both projects understand that the best conduit to the expansion of international trade is through the investment in the necessary infrastructure that can facilitate growth. It is clear that due to the win-win nature of the B&R -financed infrastructure investments, the recipient nations are invariably appreciative of the financing and eager to cooperate with China to expedite the launch of projects. This vast program of economic integration will reshape global trade patterns, and as is proved by the scale of the May 2017 Belt and Road Forum (which had representatives from 130 countries), no nation wants to be left out. There is an obvious deficit of infrastructure investment throughout Asia, which the B&R will help to address, and the resultant social benefits should become clear to the many nations involved. Looking back to the Ancient Silk Road as the historical precedent, and understanding the prosperity China’s Reform and Opening-up heralded in 1978, we can expect the Belt and Road Initiative to have an equal impact in expanding trade and building a community of common interests. Andrew Spivey is cnfocus’ columnist, and the article reflects the author’s opinion, not necessarily the view of China Focus.